As many of you know by now, my skin can be pretty sensitive. I flush terribly with exercise and heat – and that flushing can stick around for awhile. 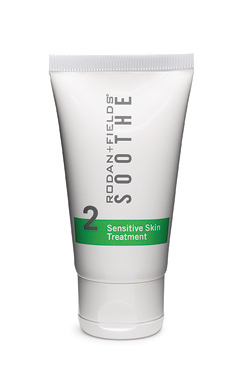 A friend of mine, who also happens to be a pharmacist, sells Rodan and Fields, and she mentioned this product to me. And no, I do not sell Rodan and Fields or get any reimbursement whatsoever for my humble opinion. I know, it’s sad. Anyways, back to the product. This product is used after cleansing but before moisturizing, twice daily. I have to admit, they named this lotion very appropriately – it is indeed soothing to my skin, feels cool, and has definitely improved my redness and flushing even with my imperfect use (i.e. not twice daily). So, for anyone who has some baseline sensitivity or redness issues, I highly recommend. Link and photo to Rodan and Fields company website. I wonder if it would soothe eczema related skin problems? Does it say on the tube? Because I sometimes get a little redness too, but with a different cause..
Hi! I think it would probably work well for that since it moisturizes as well!